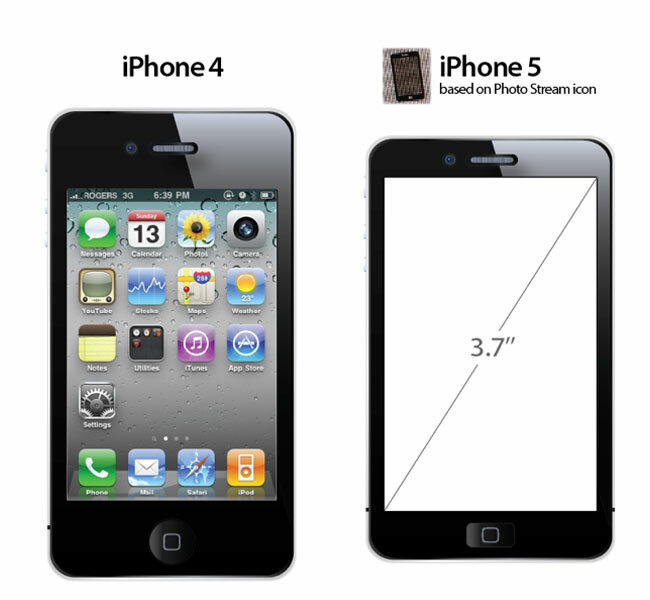 New iPhone 5 Design Leaked? We have been hearing a number of rumors about the design of the new iPhone 5 over the last few months, and now the guys over at 9 to 5 Mac have spotted a new icon for the iPhone 5 in Apple’s latest Photo Stream beta. The new icon that was found points to a larger display than the current iPhone 4, this is something we have heard about previously and the guys from 9 to 5 Mac have put together the render below , based on the icon. As you can see from the render above, it looks like there is also a re-designed home button, which is square rather than round, of course Apple could have just used an icon design which is not the actual iPhone 5. I guess we wont have to wait much longer to find out as we are expecting the iPhone 5 to be officially announced later this month or at the start of October.